Last week we once again attended the Sport & Fitness trade show at the Naperville High School in Naperville, IL. 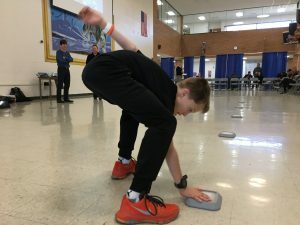 An annual tradition of giving students and institute day and allowing companies and organizations from the sports & fitness industry, to present products/concepts. Since this is in our neck of the woods we try to make it to this show every year we can. 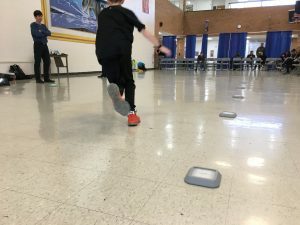 This year was special because we had a special new product to show off, the Reax Lights – perfect for Physical Education in schools of all ages. 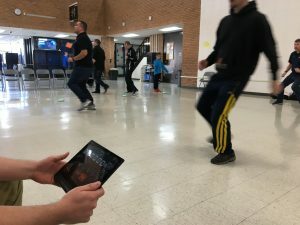 This was a fun opportunity to test out the new addition to the Exergaming family, as well as seeing how well it engaged the kids playing. What made it even more special was one of our partners Polar Tracking was present as well.